Grants have never been fun or exciting, but as anyone following their creative pursuits will know, they are most critical. In college, I was told that if I were to stay in the arts to make a career out of it that I would end up learning to write grants. The success of a film, album, or start-up company can hinder on the funding from a grant organization(s). It’s of great importance that one educate themselves on what opportunities are available to them. I have often wondered how many great pieces of art went unmade for the simple reason of being unaware to the abundance of grant funding waiting to be spent on your next art project. The team here at Bedtracks has had a long history in grant writing and research of different funding bodies. We hope to impart some of the knowledge we have picked up over the years and to help you find the funding you need to make your vision become a reality. I mean, it’s in our best interest that you make your film. We’re a one-stop-shop post-audio company, after all! Don’t let your idea go undeveloped. The money is out there, and the government wants you to have it. All you need to do is ask. Make a weekly appointment with yourself or a member of your team to check deadlines and schedule 15 min a week to Google for new funding opportunities. They come up all the time and deadlines are so easy to miss if you don’t stay on top of them. Keep a spreadsheet of all the different grants for which you’re potentially eligible. We recommend using Google drive for the convenience of being able to share it with all your team members. Bedtracks uses a template that looks something like this. Remember to read guidelines carefully and email questions to your the grant officer if there is anything you or your team does not understand. That’s what they do. Define how your project is in line with the mandate/guidelines of the grant organization. Read, read and re-read. Concise, clarity is the name of the game. It’s so easy to miss grammatical errors or worse, financial. A misplaced zero or decimal point can easily get an application thrown out. We recommend that each team member proofread the application before submitting. 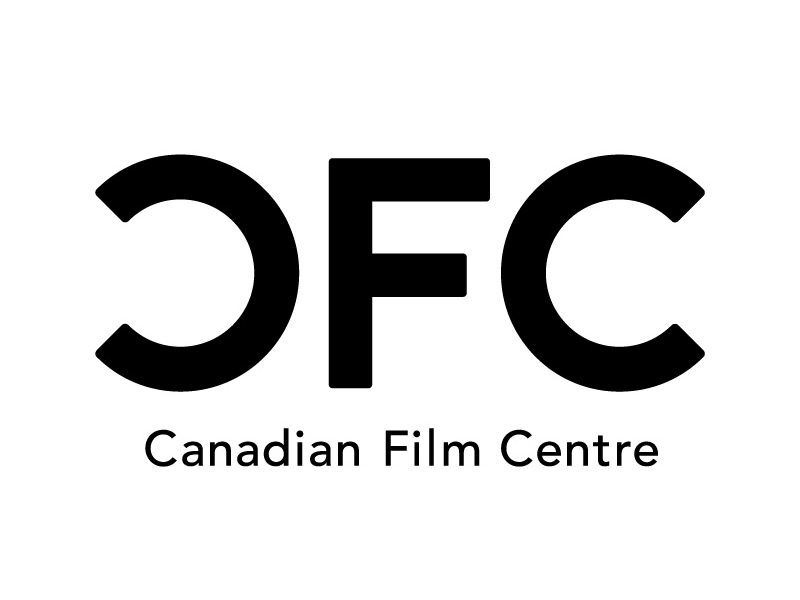 This grant is distributed by Canadian Film Centre and is an excellent place to start for budding filmmakers. One of the eligibility requirements is that you’re brand new to the filmmaking game. Producer/director has never made a full-length film before (75 min or more). You must have at least made a short film before at a running time of 30 min or less. As per Telefilm's guidelines, the project must be "fictional or documentary audiovisual projects produced in English, French, or an Aboriginal language that are either: feature length films of 75 minutes or more; or, any other type of narrative-based audiovisual content made in a format specifically designed for online audiences. These types of projects can be comprised of one or more segments which, in total, must be more than 10 minutes in length." All projects must be distributed on one or more digital platforms. Telefilm’s funding will be in the form of a non-repayable financial contribution that may cover up to 100% of the project’s financing. The maximum contribution amount is set at $127,500 for feature films and narrative-based web projects of 75 minutes and more in total length. The application process is two-fold. Applications are currently closed, but be sure to bookmark the page and check back often! Since 1995, BravoFACT (Foundation to Assist Canadian Talent) has distributed millions of dollars in awards to Canadians for the production of short form scripted projects. Many of the resulting works have been honoured with awards around the world. Awards are available for Canadian producers and directors who seek to create entertaining and engaging short-form content (up to 10 min excluding title and credits), both scripted (BravoFACT) and documentary (BravoFACTUAL), for Bell Media. A director or producer attached to an undelivered BravoFACT or BravoFACTUAL project may not apply. Please note, applicants may only receive one grant at a time. A director or producer who has completed and delivered three or more BravoFACT scripted narrative projects may only apply as a mentor on subsequent applications. However, he/she may apply for a BravoFACTUAL short documentary award. A maximum request of $50,000 is allowed per application. A jury will decide how much funding your project will receive. The Rogers Cable Network Fund supports the production of first-play cable network programming for the ever-expanding television platform. Meaning more choices for Canadians (including drama, educational, non-scripted, and performing arts), and increased support for independent producers in this country. A cash equity investment of up to 20% of the lesser of the total production budget or final cost, to a maximum of $500,000 per project. The Documentary Fund is another grant administered by the Rogers Group Of Funds. Here is what Rogers has to say about the Documentary Fund. Be a Canadian individual or company, but not a broadcaster. Here is a link to the guidelines for more information. The Rogers Documentary Fund will provide non-recoupable advances to a maximum of $75,000 to successful applicants. The deadline just passed, but there are two deadlines per year so check back regularly for a new deadline! The English POV program falls under the Convergent stream and allows funding for documentary films in the english market. Funded projects must be produced for distribution on two platforms, one being Television. a) Is a for-profit (i.e., a taxable Canadian corporation, within the meaning of Canada’s Income Tax Act production company. b) Is Canadian-controlled as determined in sections 26 to 28 of the Investment Canada Act. c) Has its head office in Canada. The Television Component made available to Canadians by a Canadian entity via non-simulcast digital distribution. Get familiar with the guidelines. Here is a link. For the Television Component, the CMF’s Maximum Contribution is the lesser of 49% of the Component’s Eligible Costs or $400,000. As of April 2017, all CMF programs are administered via Dialogue. To fill out and submit your application you must create an account. Review the guidelines and reference documents carefully. Make sure you qualify! We hope some of these grants are news to you and that were able to add some line items to your new grant document. As most of you probably know, there are many more film funding organizations in Canada. For this article, I made the focus on micro-budget/beginning filmmakers. Explore all opportunities! Do you have any go-to grants that I didn’t mention here? Please let me know what they are in the comments. The world wants you to make your next film. Bring it to life and don’t leave the money on the table. It’s yours to take; you just need to ask.